This section of our safe buying guide provides you with no-nonsense pros and cons for each safe type, along with quality advice to ensure you buy a safe that best matches your specific needs. 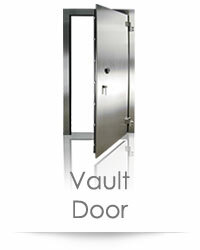 Select any safe or vault type above for a description and buying tips specifically for that safe type. It is essential that the safe you purchase has both a solid steel door and walls of substantial thickness. Without this base level of steel protection, any safe can be opened within minutes despite the hoopla of any advertised protection features. While the majority of top-selling safes on the market tout a plethora of protection features, virtually all fail miserably in this essential area. 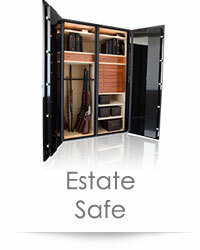 The safe you choose must have at minimum a ½" thick solid steel door and a ¼" thick solid steel body. Steel is very expensive and heavy, vastly increasing the safe's build cost and the cost of shipping overseas to the reseller. As a result, nearly all oversea manufactured safes (and even many local-built safes) cut these costs by making their safes with thin sheet metal wrapped around various forms of drywall to give the appearance of a robust safe. Click here to learn more. Be highly suspicious if the safe manufacturer or reseller doesn't state solid steel, or lists "composite" for their wall or door material, as this can be anything from sheet metal wrapped around wood to sheet metal and drywall. Also be on the lookout for safe sellers that list just "door thickness" rather than the barrier material type and thickness, as this is a recent trick many underhanded safe marketers employ. By listing the total thickness of the safe door including the safe dial, barrier material, airspace, inner bolt work, etc.... the provided figure can sound quite impressive, while actually preventing the buyer from obtaining any solid information on how thick the barrier material actually is or what it's made of. Click here to learn more about the industry recognized protection rating systems. Weight is one of the biggest factors when determining the base ability of a safe to protect from both burglary and fire. Steel is heavy; a quality safe with solid steel walls will weigh substantially more than a flimsy safe fabricated by wrapping sheet metal around insulation panels. High-density concrete based amalgamate is heavy. A concrete amalgamate-based composite fire safe will weigh substantially more than a safe that uses insulation panels. Steel and high-density concrete amalgamate together are really heavy. A true burglary safe with solid steel walls and concrete amalgamate fire cladding often carries three times the mass of an equivalent size safe constructed from sheet metal and drywall panels. 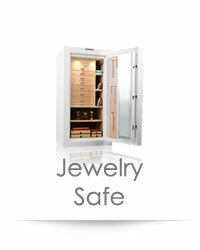 These are the safes to look for. Be aware: If a safe is heavy, it doesn't necessarily mean the safe carries a lot of solid steel. The weight can come from the concrete amalgamate alone. Be sure to check the actual steel thickness for both the door and walls. Always check that the safe you plan to purchase has a UL approved Group 2 lock or better. The three dependable lock manufacturers are LaGard, Sargent & Greenleaf, and Kaba Mas. These are the only lock manufacturers that produce locks guaranteed to provide decades of trouble free operation. If you decide on a safe without a UL approval, there's a 95% chance the safe's lock comes from China. The vast majority of safe manufacturers who equip their safes with "their own" lock brand also use Chinese locks. While highly affordable, Chinese-built locks are notoriously undependable and are prone to early failure. We routinely receive calls from agonized safe owners who are permanently locked out of their safe by a malfunctioning Chinese lock. Opening these safes is generally a very costly and time-consuming ordeal as it's nearly impossible for even a licensed locksmith to obtain accurate blueprints to aid in a clean, repairable entry into the safe. Most safe owners in this unfortunate position opt for the faster and less expensive forced entry option. The safe is rendered unusable after a forced entry and the owner is stuck with a hefty bill - and the need to replace it with a reliable and secure safe... many current clients sought out our company after experiencing one or more highly unpleasant lockouts with inferior safes. 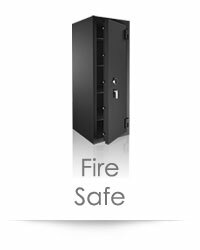 Although fire safes constructed with fireboard, drywall, fiberboard, or other panel-based insulation materials make up the majority of safes sold today, they provide inferior fire protection when compared to true composite-clad fire safes. More importantly, these panel-based safes provide fire protection at the cost of highly reduced burglary protection. 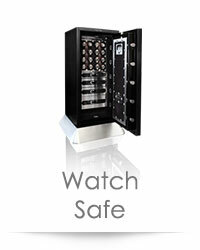 The majority of fireboard-style safes provide little to no burglary protection. Click here to learn why. A safe that is slow to open is a safe that isn't likely to be used. Adding a quality electronic lock can make opening the safe quick and easy, as well as enabling the user to reset the combination when needed without the aid of a locksmith or combination kit. For the ultimate in user convenience and security, a high-grade biometric lock can't be beat. 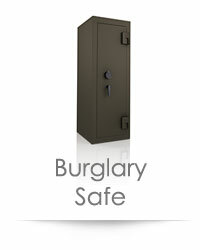 All quality safes should have relockers to help ensure the safe remains locked in the case of a burglary. Relockers are hardened pins that are triggered in a variety of ways during an attack, and cannot be retracted without hours of drilling. The number of relockers on a safe will range from 2-10+ depending on the size and burglary grade of the safe. Bear in mind, relocker pins only prove useful when the safe has a substantially thick steel door and walls. Most safes today are equipped with two or more relocker pins. But on a steel-deficient safe, these pins along with the locking bolts simply tear or bend right through the safe's thin door jamb. Does the size of your chosen safe make best use of the space it's occupying? Is the interior layout of the safe well-suited to your needs? In many cases there's room for improvement and this is where a custom safe is worth consideration. 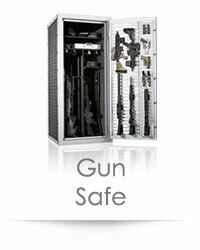 Brown Safe is one of the only safe manufacturers in the world to offer fully customizable safes. Custom sizes, finishes, and interiors are available at a very reasonable price point. We can work with you and/or your interior designer, architect, and carpenter to ensure a quality safe that is built to your exact specifications. 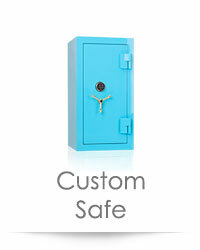 Have a look at just a few examples of our custom safes. Always bolt your safe down. While you may think there's no way anyone will manage to wrangle the safe out of your house when it takes specialized machines and muscle to perform the installation, never underestimate the resourcefulness of highly determined burglars. Concrete provides the most secure anchor, so it is the preferred surface for mounting your safe. Remember though, an inaccessible safe receives rare use... so reconsider this if mounting the safe to concrete requires placing it far out of the way. Always mount using 1/2" concrete bolts or larger, and use more than one bolt. Four mounting bolts are ideal. When anchoring to a wood floor, whenever possible, anchor one or more bolts into a foundation support beam rather than just the plywood floor. When possible, avoid anchoring the safe near a foundation wall in a way that creates an 8" to 18" gap between the wall and safe. Gaps smaller than 8" are okay. With larger gaps, it is possible to leverage the safe away from the wall using a car jack, ripping the safe's base anchor bolts out from the flooring.